There isn't reception so is important contact us in advance to arrange an apointment. Quiet, comfortable and clean! great location and great shower. 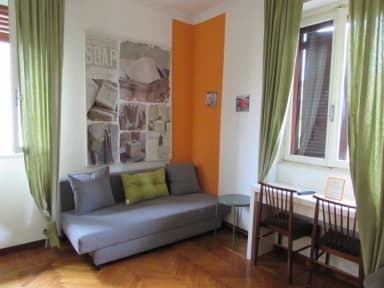 The B&B is well located close to a Metro station and is within a 15 minute walk from Milan central station. However, I would recommend getting the metro into the centre of Milan and then the metro back out at the end of the day. The general area could feel a bit dodgy although we had no problems whilst walking from the central station. Staff were great and very helpful with suggestions on where to find places to eat. Would recommend this B&B for others. 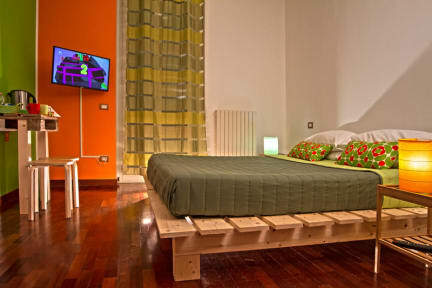 Overall, the property provides a clean and affordable lodging. The location and property condition is worn down. My biggest concern would be safety. Most of the windows (street level) were not in working / locking condition and the common area was open and unattended most of the evening (after 8 pm). Well intentioned staff. minimal secured doors and locks. The kitchen had no plumbing [no sinks or facility for cleaning). The breakfast set up is quite minor-packaged biscuits. Overall a 6/10.